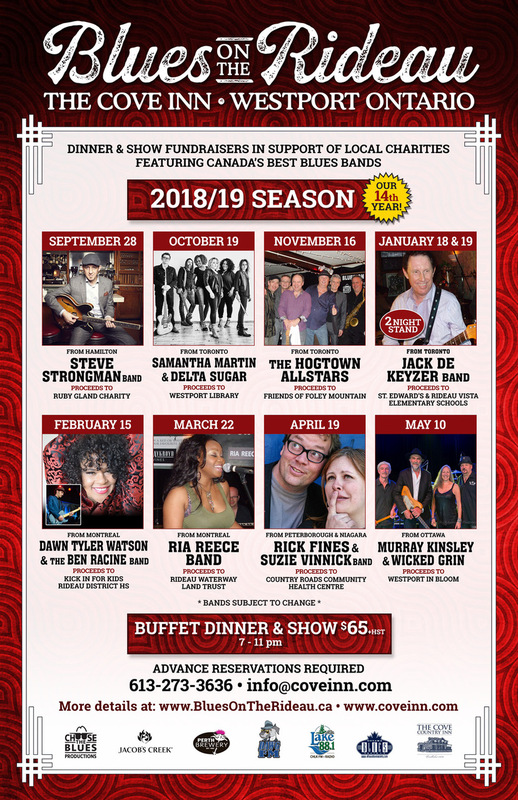 2018/19 SEASON – our 14th year! When we say this band is full of Allstars we ain’t kiddin’! 5 members from Canada’s legendary Downchild Blues Band – Chuck Jackson (vocals), Michael Fonfara (keyboards), Pat Carey (sax), Gary Kendall (bass) & Mike Fitzpatrick (drums) plus Teddy Leonard on guitar (formerly with Fathead). Both of these bands have received multiple Juno Awards over the years and all of members have either won or been nominated for an MBA in their respective instrument categories. Together they represent almost 300 years of Blues-playing experience and it shows. 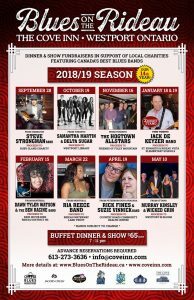 Led by dynamic singer/showman/front man Chuck Jackson these guys mix it up with their unique renditions of old Blues/Soul and R&B classics along with original songs. This marks The Hoggies 5th return visit to BOTR making them another one of the all time favourites of the Series. 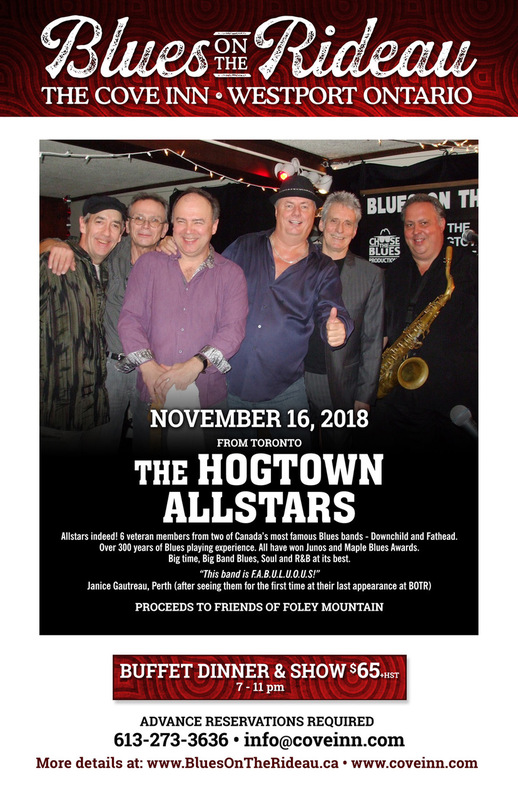 The most commonly used adjective to describe this band on the Comment Cards is “AWESOME!” Note: The Hogtown Allstars have SOLD OUT every show at BOTR @ The Cove in the past so don’t wait too long before reserving your tickets for this night! All nights run from 7-11 pm and include a delicious full course buffet dinner followed by the show and dancing. There are great Door Prizes and a Big Draw for two Grand Prizes at the end of the season from all of the Comment Cards submitted over the year. Comfortable, well-priced ACCOMMODATION is available at The Cove, nearby B&B’s and a motel – but BOOK EARLY. All the rooms in town usually sell out on BOTR nights. The Cove Inn is located at 2 Bedford St. in Westport on the shores of Upper Rideau Lake – part of the beautiful Rideau Waterway (a UNESCO World Heritage Site) – only a 1.5 hour drive from downtown Ottawa, 45 min from Kingston, 3 hours from Montreal or Toronto.